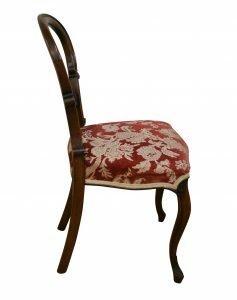 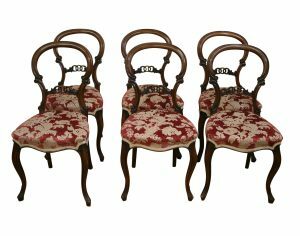 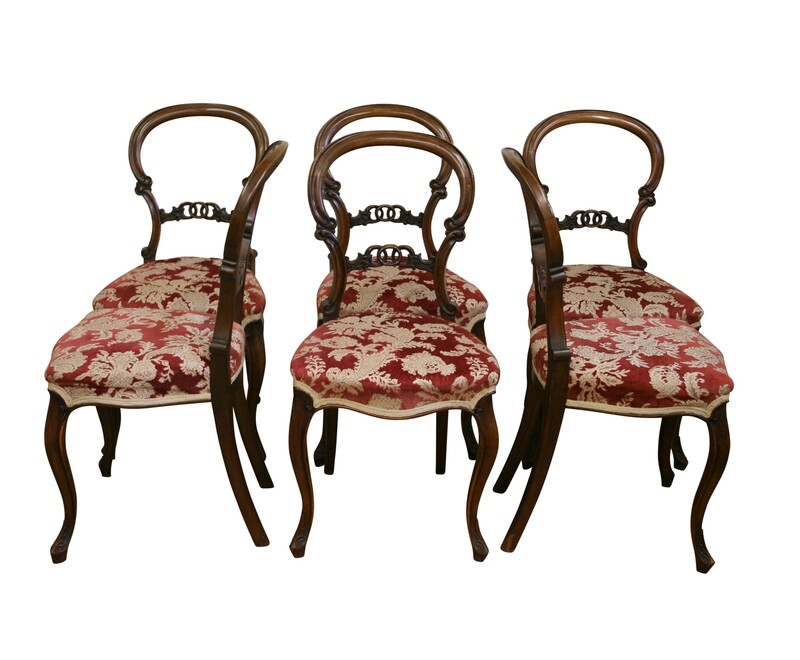 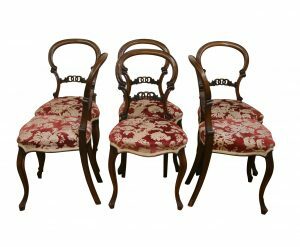 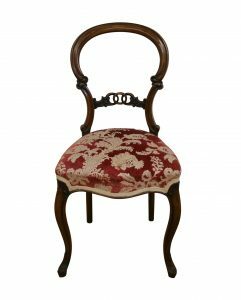 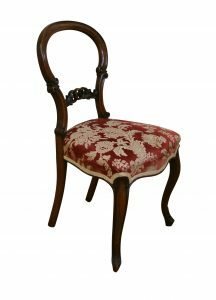 A set of six Victorian walnut balloon back dining chairs. 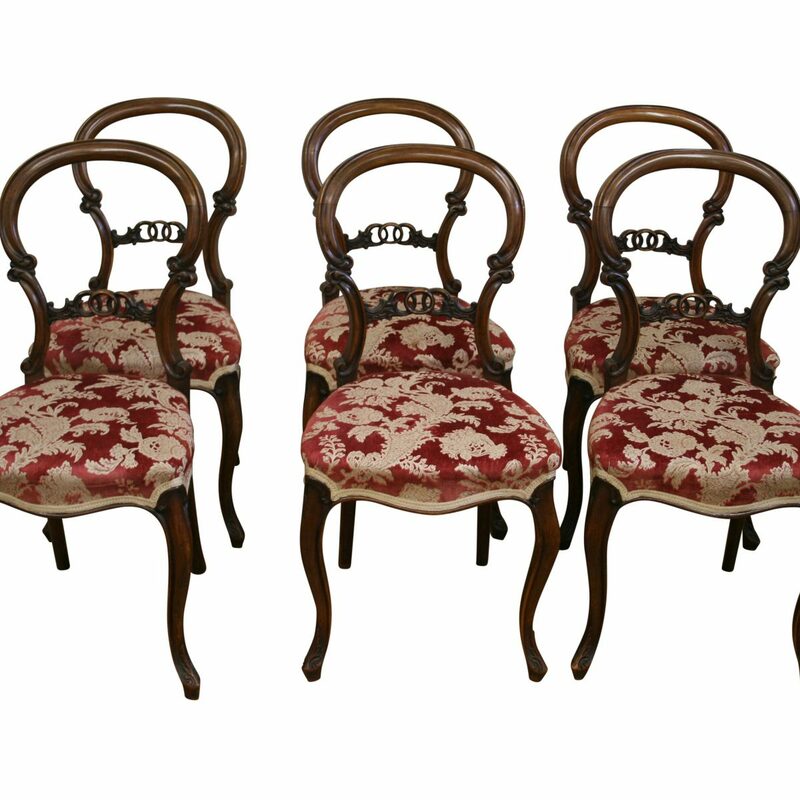 The chairs have shaped back rails and carved centre rail. 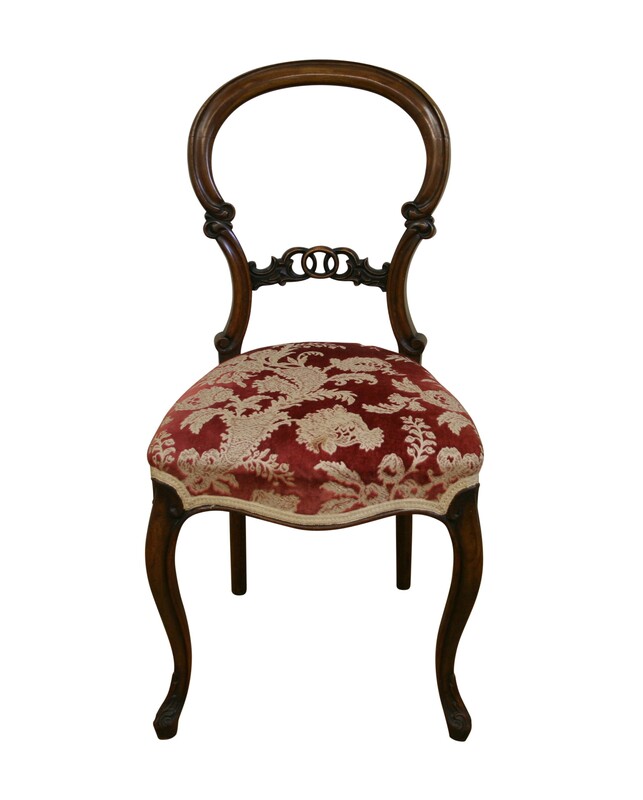 They have a stuff over serpentine fronted seat with carved cabriole legs to the front.